The Law on property was issued by the National Assembly of Vietnam on 2014. 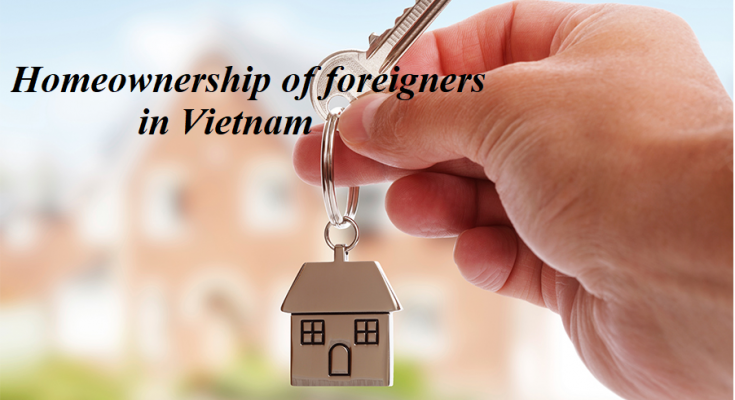 Foreigner have legal right to buy houses in Vietnam. The law specifies detailed regulations on entities who have rights to buy houses in Vietnam. – Ownership period written ( total 100 years) : it is up to 50 years from the date of issue of the Certificate. When the house ownership period written on the Certificate expires, if the owner wishes to have this period extended. Such extension must not exceed 50 years from the original expiration date of the time limit for house ownership written. b) If the house is sold to a foreign organization or individual eligible to own housing in Vietnam, the buyer or recipient may own the house for the remaining period. When this period expires, if the owner wishes to have this period extended, the State shall consider granting an extension. 1. 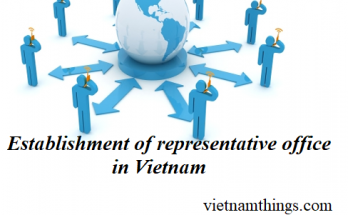 Vietnamese organizations, households or individuals (hereinafter referred to as Vietnamese entities). 3. Foreign organizations and individuals (hereinafter referred to as foreign entities) prescribed in Clause 1 Article 159 of this Law. c) Foreign individuals who are allowed to enter Vietnam. b) Buy, rent and purchase, receive, or inherit commercial housing including apartments and separate houses in the project for housing construction, except for areas under management relating to national defense and security as prescribed in regulations of the Government. 1. The foreign entity prescribed in Point a Clause 1 Article 159 of this Law is required to have an Investment certificate and have houses which are built under a project as prescribed in this Law and corresponding regulations of law. 2. The foreign entity prescribed in Point b Clause 1 Article 159 of this Law is required to have an Investment certificate or a Permission to run business in Vietnam (hereinafter referred to as Certificate of investment) issued by the competent agency in Vietnam. 3. The foreign entity prescribed in Point c Clause 1 Article 159 of this Law is required to have a permission to enter Vietnam and he/she is not granted diplomatic immunity and privileges as prescribed. 4. The Government provides guidance on documentary evidence for entities or requirements pertaining to foreign entities qualifying for the homeownership in Vietnam. 1. The foreign entity prescribed in Point a Clause 1 Article 159 of this Law is entitled to exercise rights of homeowners as prescribed in Article 10 of this Law, if his/her house is built on a piece of leased land, he/she is only entitled to lease that house. a) He/She may not buy, rent and purchase, receive, inherit and own more than 30% of apartments in an apartment building; or more than 250 houses regarding separate houses including villas, row houses in an area whose population is equivalent to a ward-administrative division. c) The foreign individuals are eligible for the homeownership as agreed in agreements on housing sale, lease purchase, gifting, or inheritance for not more than 50 years, from the day on which they are granted the Certificate and they may be also granted extension as prescribed in regulations of the Government; the duration of the homeownership must be stated in the Certificate. dd) Before the time limit of the homeownership prescribed in this Law expires, the homeowner is entitled to gift or sell their house(s) to entities eligible for the homeownership in Vietnam; if not, their house(s) shall be under ownership of the State. 1. The foreign entity prescribed in Point a Clause 1 Article 159 of this Law has obligations of homeowners as prescribed in Article 11 of this Law. a) If the homeowner is a foreign individual, he/she is entitled to lease house(s) for lawful purposes provided that he/she notifies the agency of district in charge of housing where the house is located of housing lease as prescribed in regulations of the Minister of Construction and pays taxes on housing lease as prescribed before leasing houses. c) They pay off the total amount through credit institutions operating in Vietnam. 3. Foreigners mentioned in Point c Clause 1 Article 159 of the Law on Housing may own housing for up to 50 years from the date of issue of the Certificate. When the house ownership period written on the Certificate expires, if the owner wishes to have this period extended, the State shall consider granting an extension according to Article 77 of this Decree. b) If the house is sold to a foreign organization or individual eligible to own housing in Vietnam, the buyer or recipient may own the house for the remaining period. When this period expires, if the owner wishes to have this period extended, the State shall consider granting an extension according to Article 77 of this Decree. c) The seller or giver must pay tax and other amounts to state budget as prescribed by Vietnam’s law. c) According to the written permission given by the People’s Committee of the province, the Certificate issue shall write the extension on the Certificate, and send a copy of the Certificate to the Department of Construction of the same province for monitoring. c) According to the written permission given by the People’s Committee of the province, the Certificate issue shall write the extension on the Certificate, make a copy of the Certificate and send it to the provincial Department of Construction for monitoring. 3. Upon the first expiration of the house ownership period, if the foreign organization or individual is compelled to leave Vietnam or shut down the operation in Vietnam, no extension as set out in Clause 1 and Clause 2 of this Article shall be granted; their housing shall be dealt with in accordance with Clause 3 Article 8 of this Decree. 1. Upon the expiration of the house ownership period as agreed between the initial buyer and seller prescribed in Clause 1 Article 7 of this Decree, the house ownership and land use right shall be settled as agreed by both parties in the initial house purchase contract. If such agreement does not exist, the house ownership and land use right shall be transferred to the initial owner or his/her legal inheritor.If the initial owner is an organization that goes bankrupt, is dissolved, or shut down, its housing shall be dealt with in accordance with regulations of law on bankruptcy, dissolution, or shutdown, and the house ownership shall be transferred to an eligible organization or individual as prescribed by regulations of law on bankruptcy, dissolution, or shutdown. While the house owner is being determined, the organization or individual managing the house shall keep managing it and must not sell, lease under a lease-purchase agreement, offer, bequeath, pledge, or contribute the house as capital. The house shall be transferred within 03 months from the day on which its owner is determined. 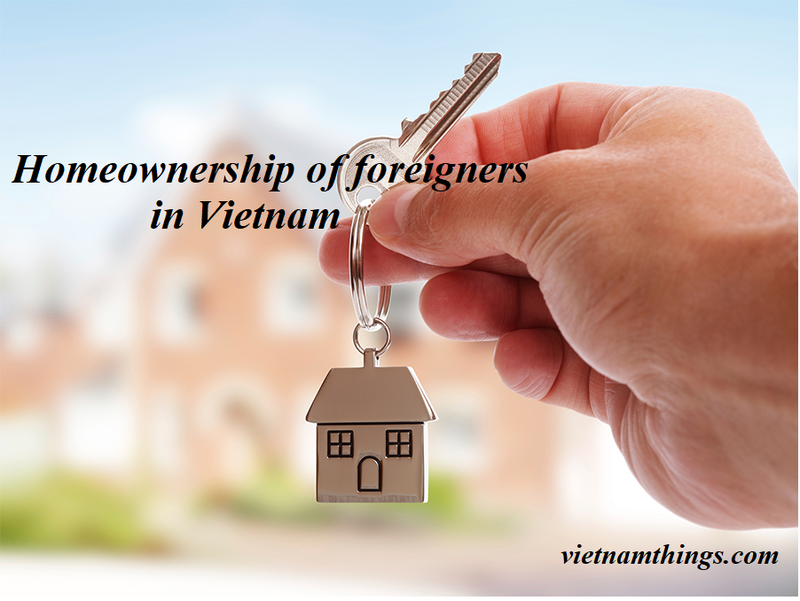 In case a foreign organization has its investment registration certificate or license to operate in Vietnam revoked by Vietnam’s government, the owner must sell or offer the house to an entity eligible to own housing in Vietnam. 2. In case the initial buyer and seller mentioned in Clause 1 Article 7 of this Decree does not have an agreement on disposal of the Certificate upon the expiration of the house ownership period, the issuer of the Certificate shall revoke it from the current owner and issue it to the initial owner as prescribed in Clause 1 of this Article. If the Certificate cannot be retrieved, the issuer shall issue a decision to annul the Certificated issued to the current owner and reissue it to the initial owner. Procedures for issuing the Certificate shall comply with regulations of law on land. 3. Before the expiration of the house ownership period prescribed in Clause 2 and Clause 3 Article 7 of this Decree (including extended period prescribed in Article 77 of this Decree), the foreign organization or individual may directly or authorize another organization or individual to exercise their right to sell or gift the owner under their lawful ownership as prescribed in Clause 4 Article 7 of this Decree. If the foreign organization or individual fails to sell or offer the house by the deadline, such house shall be passed into public ownership. The Department of Construction shall request the People’s Committee of the province where the house is located to issue a decision on establishment of public ownership, expropriate the house, use it, sell it, or lease it out in accordance with regulations on management of state-owned houses. In case a foreign individual is expelled from Vietnam or a foreign organization is forced to stop operating in Vietnam by a competent authority of Vietnam because illegal use of housing under their ownership, the house shall be dealt with under a decision of a competent authority of Vietnam. Article 74. Documents proving eligibility for owning houses in Vietnam. 1. A foreign individual must have an unexpired passport bearing the entry seal of the Vietnam’s immigration authority and not given diplomatic immunity and privileges according to Ordinance on diplomatic immunity and privileges of diplomatic missions, consular offices, and representative authorities of international organizations in Vietnam. 2. A foreign organization must be an entity specified in Article 159 of the Law on Housing which has investment registration certificate or a permission issued by a Vietnam’s competent authority for operation in Vietnam which is still unexpired at the time of housing transaction (hereinafter referred to as investment registration certificate). 1. Foreign entities may only own houses (including apartments and detached houses) of commercial housing construction projects, except for those in areas having national defense and security requirements prescribed by Vietnam’s regulations of law.2. The Ministry of National Defense and the Ministry of Public Security have the responsibility to specify the areas having national defense and security requirements in each province and send a written notification to the People’s Committee of the province as the basis for directing the provincial Department of Construction to compile a list of commercial housing construction projects whose houses must not be owned by foreign entities. d) The quantity of apartments that foreign entities may own in case there are more than one apartment buildings in an area whose population is equivalent to that of a ward; quantity of detached houses that foreign entities may own in case, in an area whose population is equivalent to that of a ward, there is one or more housing construction projects but the total quantity of detached houses does not exceed 2,500.2. Foreign entities eligible to own houses in Vietnam may only purchase, lease-purchase houses from owners of housing construction projects, or purchase houses of the foreign entities specified in Point b Clause 4 Article 7 of this Decree, and may only receive houses as inheritance of gifts from households or individuals, or receive houses as gifts from organizations provided the quantity does not exceed the limits specified in Clause 4 and Clause 4 of this Article of the housing construction projects whose houses they may own. Where a foreign entity who is not eligible to own houses in Vietnam receives a house in Vietnam as a gift or inheritance, provisions in Article 78 of this Decree shall apply. 3. Foreign entities may own up to 30% of the total number of apartments of an apartment building. In an area whose population is equivalent to that of a ward, if there is more than one apartment buildings for sale or lease-purchase, foreign entities may own up to 30% of the number of apartments of each apartment building, and up to 30% of the total number of apartments of all these apartment buildings. c) Where there are two or more projects where the total quantity of detached houses does not exceed 2,500 houses, foreign entities may own up to 10% of the houses of each project. 5. The Ministry of Construction shall provide specific instructions on determination of quantity of housing that foreign entities may own in accordance with Clause 3 and Clause 4 of this Article.